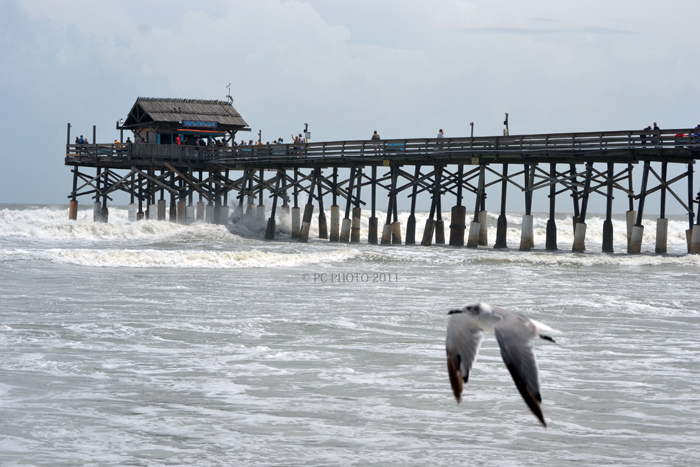 An attempt to be CREATIVE while photographing waves slamming into the pier from the outer storm bands from Irene at Cocoa Beach had an unexpected and unplanned addition when a seagull flew into this frame. Had it not been for the shutter being set to continuous the depth of this photo would have been less interesting. Thank you Mr. Gull for helping me be CREATIVE!